A fascinating and humorous read that debunks the surprising myths about the world we always believed. The latest addition to the popular Everything You Know series, this book will blow apart your beliefs in the world's physical and social landscape, leaving you staggered by astounding facts about our planet's geography, nature, countries and cities. Indulge your curiosity and you'll find a plethora of myths, legends and misquotes that have shaped the way we view the world today. Convinced the world is round? Think again! It's actually flatter at the poles. Have the Sahara down as the world's biggest desert? It's actually Antarctica. Brimming with facts about the world, how it works and the way we live in it, this illuminating book will guide you through the minefield of misinformation to set the record straight on everything from the location of Mexico to the correct way of measuring earthquakes. 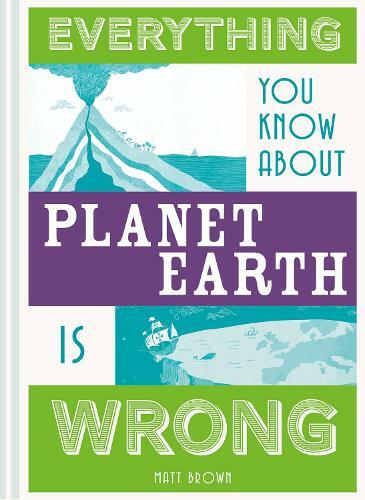 Discovering untruths about people and places, geography and the environment, Everything You Know About Planet Earth Is Wrong provides a hugely entertaining insight into the world we live in.